Tamiko (Ayumi Ito) lives happily with her husband Hideaki (Sho Aoyagi) and step-daughter Kotoyo (Hazuki Inoue). Tamiko married her deceased friend Mari's (Mami Nakamura) husband. Tamiko gets along well with her step-daughter Kotoyo, but Kotoyo still doesn't call her mother. 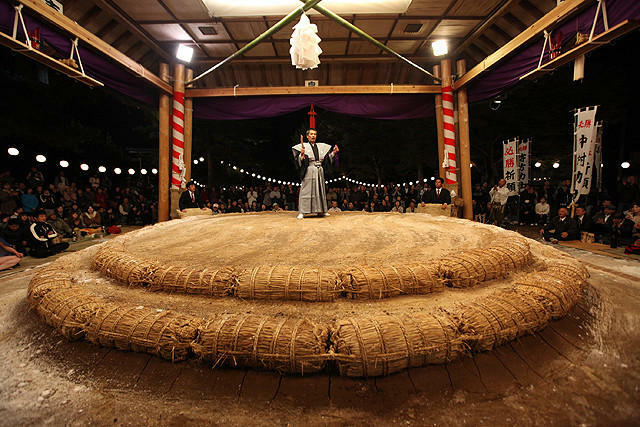 There is a traditional sumo game held to celebrate the moving of Mizuwakasu's shrine. The traditional sumo game is important to Tamiko who grew up on the island, while her husband Hideaki's reputation is not so good on the island because he broke off his engagement to a woman his parents set him up with. In order to marry his first wife Mari, he ran away from the island. Since then, his parents disowned him. Nevertheless, Hideaki and his first wife Mari still liked the island and went back to live there. Hideaki began sum wrestling then.